One of a ten film serious showing photos and film footage of the narrow gauge operations that took place between 1871 to 1955. This film talks about the forming of the Denver & Rio Grande and Denver, South Park, & Pacific Railroads, and the race between them to reach Gunnison, Colorado, for the rights-of-way to build their rail lines to Salt Lake City, and claim the shipping rights for the mining boom of the area. 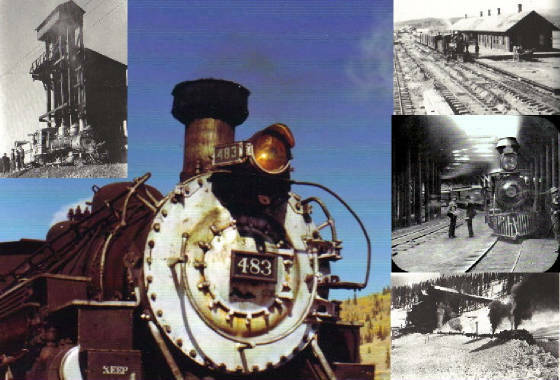 History, photos, and film footage of the railroad operation to reach Gunnison, Colorado. Shipping is included for U.S. addresses. Over seas shipping available, contact seller for further information.